The search for the perfect wedding venue continues! After viewing more venues, we've definitely come to realize that there is no such thing as a "perfect" wedding venue. There are plenty of gorgeous venues out there, even more venues that are crazy expensive, and plenty of places that are close, but no cigar. In the end, the "perfect venue" will simply be the one where the pros and outweigh the cons. We stumbled upon Studio 450 after doing intensive online searches for "unique / alternative / loft / museum" spaces. 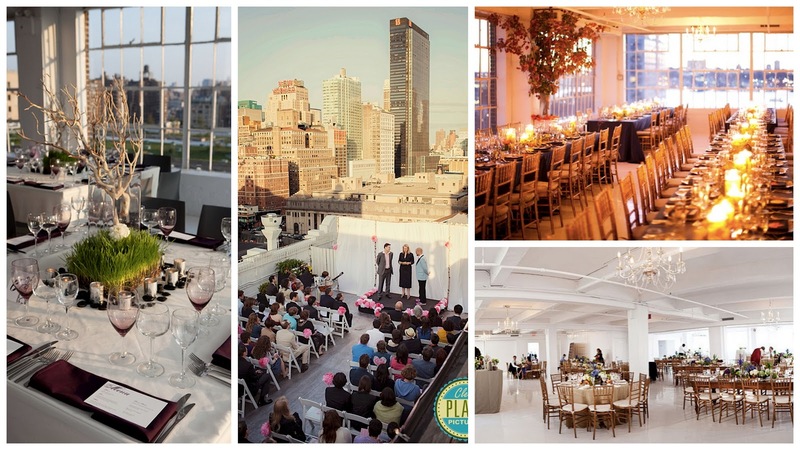 New York City has a plethora of loft like venues that is perfect for weddings. The tricky part is finding one that can accommodate 250 guests (yikes!) Located in Hudson Yards, the space is a penthouse duplex which features an open floor plan, wrap around windows, and an amazing roof deck. It's also conveniently located a few blocks from Penn Station. This venue is rapidly climbing our list as our first option, so take a look and tell us what you think. - The space is just a venue rental, which means you can bring in all of your own vendors and caterers. - The flat venue rental fee is very reasonable with no extra charges, and even includes a reduced rate if you pay up front. - There is a beautiful roof deck and wrap around terrace, which provides great city views (including The High Line, The Empire State Building, and The New Yorker Building. - The space is beautiful, all white and modern, but with an urban feel. Perfect for the minimalist wedding or for the couple who wants a blank canvas to work from. - The venue rental is for 10 hours, so you have plenty of time to set up, break down, and party in between. - The venue rental includes both floors, which gives you some extra space to play with. - The building is located close to the High Line, which means beautiful pre-wedding photos! - Because the space is only a venue rental, your caterer is responsible for everything: food, wait staff, tables, chairs, plates, cutlery, glasses, etc. That means a whole lot of other planning, which means a tiny bit more stress. - There is no parking, so if your guests are planning to drive in, you will have to arrange parking accommodations yourself. - The "cocktail hour" space is very dependent on being outdoors, so if the weather is inclimate and you have a larger guest list, then cocktail hour will be incredibly cozy. - The entrance of the venue leaves much to be desired. It's basically a plain brick front, with no indication of the beauty inside. - There is only one (rather slow moving) elevator, which can lead to some delays for your guests in arriving at the venue. - The bathroom number is limited, with only two stalls on the main floor. - While the museum has preferred vendors, they allow you to use outside catering if you want certain types of cuisine, i.e. Indian food. - The space involves built in entertainment for your guests. Worried about kids running amok? Stick them in an exhibit. - The venue has an incredibly convenient location. New York City guests can take the light rail directly to the museum, while New Jersey guests can park in the lot, for an extra fee. - It's an incredibly unique place, which will result in a stand out wedding that your guests will always remember. - With a location in Liberty State Park, you get some amazing views for your photos beforehand. In addition, there is a terrace attached to the rental of the fourth floor which your guests can enjoy. - The space is very large, so it will take a lot of careful planning (and money) to adequately decorate it. - It is a children's museum, which does not lead to the most romantic setting. Expect a lot of bright colors and large structures which may clash with your own decor. - One of the options is to have your bar set up in front of the "Infection Connection" mural, which teaches you all about infectious diseases. How magical. - You don't have a lot of time to coordinate set-up, as the museum is open until 5:00 p.m. and doors can open at 6:00 p.m. While you can have vendors start delivering items throughout the day, the actual set up time for your caterer is limited. - Your caterer is in charge of linens, silverware, plates, glasses, drinks, and chairs, which can rack up the price. - Because the rental fee depends on what space you rent out, the price can be a little more if you choose to have your cocktail hour on one of the exhibit floors (which we recommend). We heard about The Metropolitan Building from Henry's friend, who went to a wedding at the space and loved it. 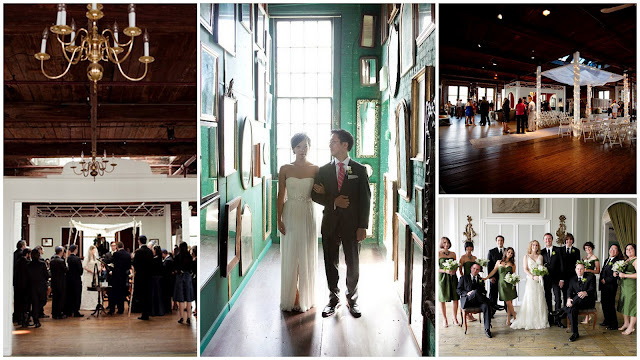 Located near the water in Long Island City, the venue is an old warehouse converted to an event space. The venue is four floors, with the second and fourth floor including two separate event spaces. The abandoned warehouse look gives this space a beautiful and unique feel, which makes for amazing photos. - The rental fee for this space is very reasonable for one floor. Included in the rental are cocktail tables, serving tables, and a large number of round tables plus white wooden folding chairs. - There are no restrictions on caterers or vendors, which can be a big plus. - With the space comes access to an endless of supply of beautiful and unique vintage furniture, which will save you big time on any furniture rental costs. - The space has a lot of character, including built in shelves filled with old books, beautiful chandeliers, and unique fixtures, so your decor will be fairly simple. - The venue is located near the water, so it's a short walk to some beautiful city views. - The rental fee is separate for the two floors, so your whole wedding (ceremony, cocktails and reception) is to take place all on the same floor. With a larger guest list, the ceremony and cocktail hour can feel a bit cramped and cluttered. You are of course free to rent out both floors, but they don't provide a discount for the two spaces, so the space goes a bit outside of budget. - The location leaves a lot to be desired. It makes sense that a refurbished warehouse is located on the same street as abandoned warehouses, but it isn't the most romantic location. - There is no parking provided, but from what we hear, street parking is always available and is reasonably safe. - Because you're only paying for the venue, you have to arrange to rent out tables, chairs, wait staff, etc. 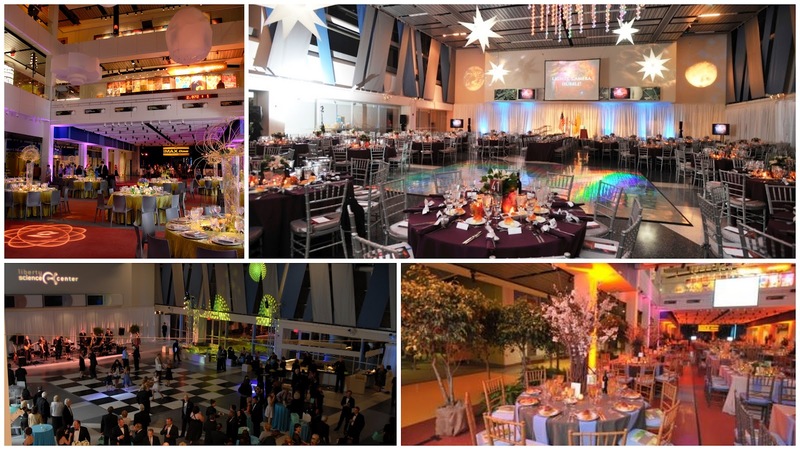 - The space is not meant to be an event venue, so you do have some random fixtures (including poles and walls) that create an awkward shape to the room. It's nothing you can't work with though. - Since it's an old building, the bathrooms are not in the best condition. - There is an elevator in the building, but it's a bit on the slow side and taking the stairs is quite a work out. That's it for now, dolls. It's very likely that Saira and Henry will decide from one of the six venues that we have shared with you. So tell us, what do you think? Do you have any personal experience with any of these places? We want your input! Studio 450 seems pretty awesome...I think the pros outweigh the cons the most there! Finding the perfect venue for the wedding will be a daunting task. You have to consider everything. Thank you for sharing this one.. This serve as a guide on us on how to choose a perfect wedding venue. My oh my, the hunt for the prefect wedding venue! You are right, choosing the best place can best be decided by going for the location where the pros outweigh the cons.Thank you for sharing the beautiful locations, excited to hear more about your hunt! It is not easy to find the best venue for wedding, there was a lot of it but some of them are not affordable. But then, I found conference venue finder Melbourne that has a lot of social gathering even a business conference are acceptable. I hope that you can find yours there. Very nice list and description, really liked this post! Thank you Jen and Saira! I've found more venues for hire here: https://www.tagvenue.com - it's very easy and fast to use - best for venue finding in London! Cheers! It’s true that planning a wedding is quite hard and when it comes to venue hunting, one will face many difficulties in finding a venue within budget. I am also looking for suitable wedding venues NYC for my big day. Hoping to find some good venues soon.